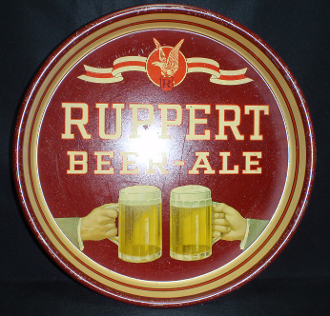 Very nice Ruppert Beer-Ale tray with straight sided,13" diameter and 1 5/8" dept. Great graphic of two beer mugs toasting. Tray does show wear and has the typical scatches and dents. This tray displays nicely.